Lincoln brakes are a great upgrade from early Model A Ford brakes. 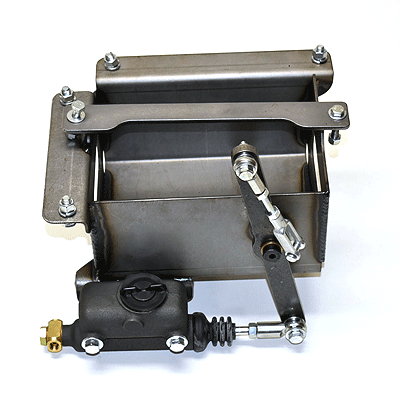 These drum brakes look good on any traditional hot rod while providing a modern full contact self energizing Bendix style brake. 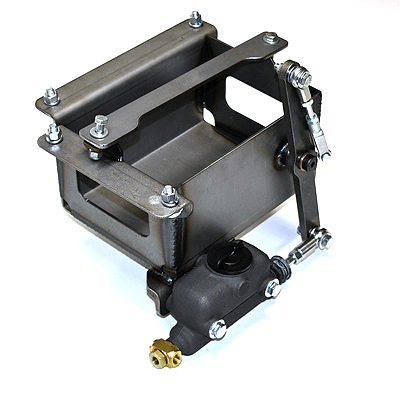 This Model A battery box/master cylinder assembly is perfect for a complete hydraulic conversion kit. 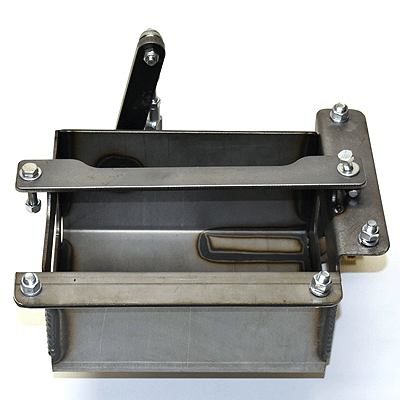 This box is designed to replace the stock Model A battery box and utilize the stock pedal assembly. It is compatible with 6 volt batteries and group 25 12 volt batteries. 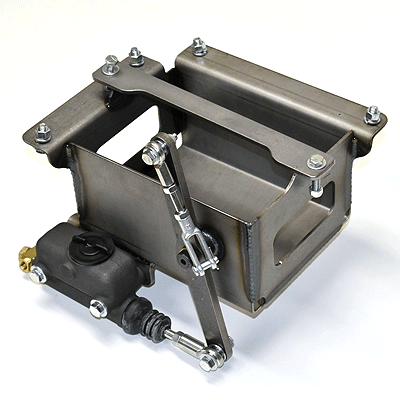 The master cylinder is a 1-1/16" bore size. 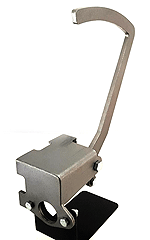 Universal Model A brake pedal assembly by Boling Brothers, for hot rod hydraulic brake applications. Brake arm now comes bent 1-1/4" to the right. 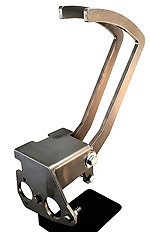 Universal Model A brake/clutch pedal assembly by Boling Brothers, for hot rod hydraulic brake applications.. Brake arm is now bent 1-1/4" to the right and the clutch arm comes unbent and may need to be bent for proper fitment. Fits Mustang style master cylinder 910-31420 and Willwood clutch master cylinder. 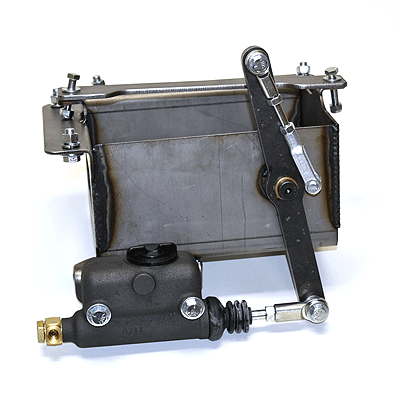 Fully compatible with the Boling Brothers brake pedal & brake/clutch pedal assemblies. US made 1940 Ford style front hub that works perfectly with our Lincoln style drums. Brand new standard 1940-48 front hub. style "slip -over" brake drums. Stud pattern 5" x 5 -1/2"
Wheel stud, for use on the replacement style hubs and drums, 01A-1109 and 01A-1125. Fits 1940-48 American Ford V8, plus earlier models that have been converted to hydraulic brakes. 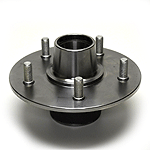 US made 1940 Ford style rear hub that works with our Lincoln style drums. Hub does not include bearing, rear seal or spring retaining clip. 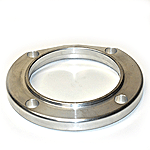 You will also need to order the backing plate spacer (M20B) when installing on a Model A rear axle. 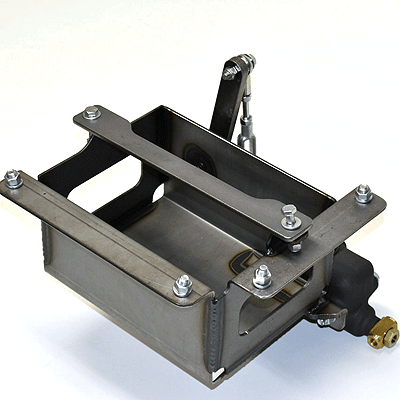 US made spacer to space the backing plate kit 1013/14 away from the Model A rear spring hanger. To be used in conjunction with our Model A hub assembly 1116AN. Lincoln style, finned drum for better cooling & styling. 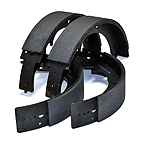 Will accept 12" x 2" or 12" x 1-3/4" brake shoes, and will also work on 1928-39 hydraulic converted vehicles. For 1940-47 Pickup & 1940-48 Mercury Passenger Cars. 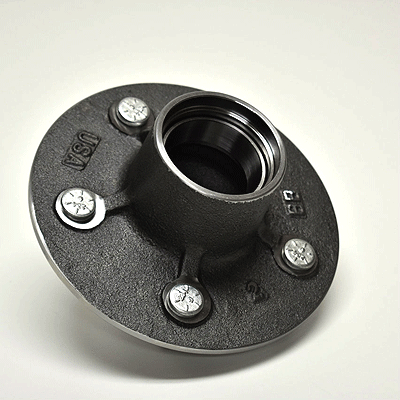 These can also be used with original 1940-1941 Ford front and rear hubs by removing the original drum and studs, reaming the stud holes to .600, and installing the 21A-1107 studs. NEW Buick style, 45 fin brake drums. They come unpainted and unpolished, and have a 5 x 5-1/2" bolt pattern. 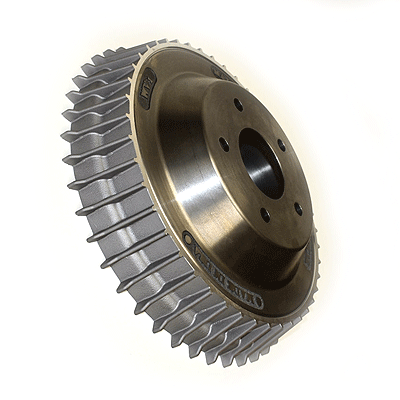 The center and braking surface is cast iron, and the outer ring is cast aluminum. 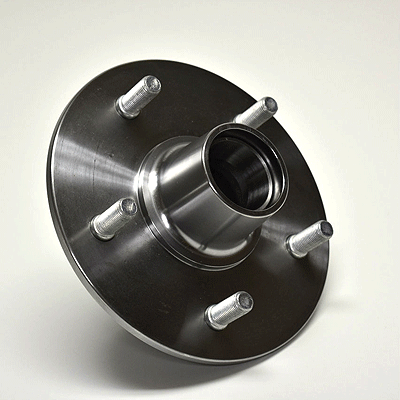 These work with our reproduction 1940 Ford style hubs and all of our Lincoln backing plate/brake kits with 2" shoes. Supplied with 1-3/4" shoes so that you can use original 1937-48 Ford drums, or our Lincoln style drums. (Does not work with original 1928-1936 Ford drums). Mounting to 1928-34 spindles (and some 1935-36 spindles) requires spacers and bearing racers, sold separately in kit A-2000. All 1928-48 spindles must be slightly modified (by grinding) to provide appropriate clearance. Supplied with 2" shoes for use with our Lincoln style brake drums. Rear backing plate assembly for 1928 to 1931 Ford banjo rear axles. You will also need backing plate spacer (M20B), Model A rear hub and Lincoln style drums. Comes with 1 3/4" wide shoes. Comes with 2" wide shoes. 12" x 2" brake shoe kit for the 2" Lincoln brake upgrade kits and after market drums. 1 Kit includes 4 shoes, which does 2 wheels.